Are you one of those who, when you hear people talking about getting their teeth whitened, roll your eyes and think it’s all just a tribute to vanity? You may be surprised to learn that there are significant benefits to correcting the coloration on your teeth and looking your absolute best. Whether it’s just to help you smile more easily or to look your best at a special event you may find that having your teeth whitened will give you a day to day confidence you’re presently lacking. Below we’ll show some of the reasons you should have your teeth whitened. 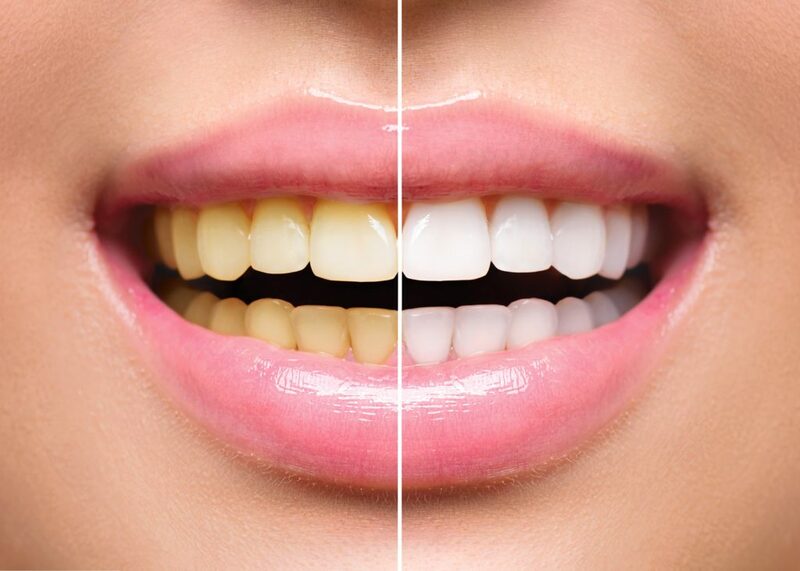 Discoloration – Even the most conscientious care of your teeth can result in discoloration through the build-up of tartar or as the result of other concerns of oral health. Special Occasion – Do you have a wedding or other momentous event coming up and you want to shine in those photos? Teeth whitening can help you make that memorable event shine. Job Interviews – This is one situation that most people don’t consider. White teeth can give you a distinct advantage during the interview process both through general first impressions and the confidence with which you smile can give you the edge you need to seal the deal. Aging – Tooth enamel can get worn down during the aging process, and that lets the elements that can stain your teeth and discolor your smile take effect faster. Combining teeth whitening with procedures that can help strengthen your teeth can take years off your smile. Celebrate Smoking Cessation – If you’ve recently quit smoking it’s time to celebrate by getting rid of the last vestiges of that nasty habit. The yellowing of your teeth that occurs due to the presence of smoke and tar can be reversed with the aid of your dentist. What better way to say goodbye to a bad habit than by saying hello to a brighter smile? Self Confidence Boost – Knowing your smile looks great can make you feel more confident and more likely to show it off. Smiles are infectious and spread great feelings and confidence to everyone who sees it. Choices in Diet – If you live a caffeine-fueled diet or love rich red sauces and wine you may have developed stains on your teeth over the years. Whitening your teeth can reverse this process and leave your smile shining and white. If you’ve decided that whitening is for you and you’re looking for a consultation with a professional that has led hundreds of patients to whiter smiles, pick up the phone and call Dr. Duc Pham at Premier Health of South Orange County. The experts at their Aliso Viejo, CA office have worked with patients like you to help them recapture their beautiful pearly-white smile for years, and are always ready to welcome new people into their dental family. Don’t let stained teeth make you hide your smile, show it off with confidence after a whitening procedure with Premier Health.